Batgirl and the Birds of Prey #6 Review – AiPT! 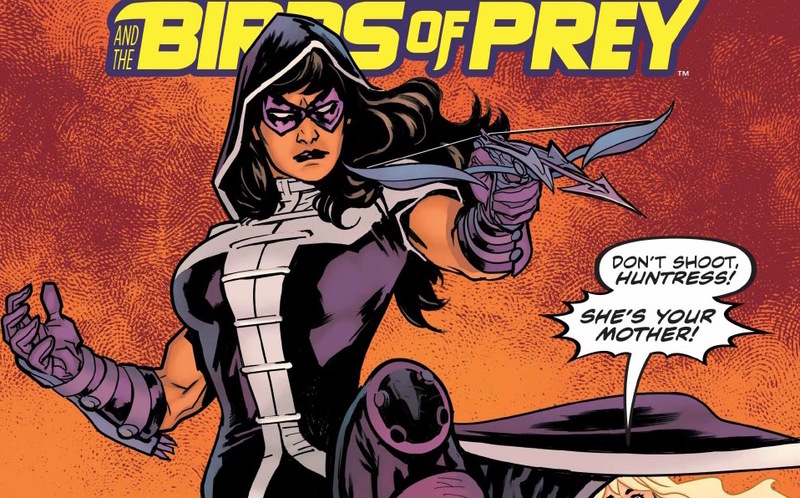 The Birds of Prey have a new Oracle to help them, which couldn’t come at a better time given how close they are to wrapping up this first story arc! Is it good? “Who Is Oracle?” conclusion! The new Oracle has put the Birds in an untenable position—do what Oracle wants, or their whole lives get made public! So how do they turn the tables? And now that Huntress has Fenice in her sights, can she pull the trigger? She’s never hesitated to kill before…so why now? Shawna Benson and Julie Benson have been making the character dynamics of this first story arc a joy and that’s key as they develop the relationships of this new three person team. At the same time they’ve fleshed out Huntress and given her something to fight for, and boy does she in this issue. There’s really no reason to judge this dude. This issue juggles quite a lot as the team takes on the person attacking them from the beginning, revealing more to Huntress’ backstory, and including this new super-fan Oracle. Generally, the issue shakes out well by wrapping things up along with a tragic new piece to Huntress’ family troubles. The team doesn’t riff with jokes like they did in the past, but given the higher emotional stakes that makes sense. It’s also fun to see how Batgirl attempts to be that Oracle role, but realizes it’s just not how she can be anymore. It effectively gives the team reason to take on this new Oracle character. Roge Antonio keeps the action tense and fun (including a cool shot of Batgirl using a batarang as a step). Batgirl looks exceptional (just look at the panel below), and when characters emote they are clearly understood. This issue lacks the fun of the previous installments as the team doesn’t joke or lay down the banter that’s made them fun. The characters fight their own battles for the most part, taking on the snake baddies who seem easily defeated as always. As the Birds of Prey fight solo it makes the team aspect falter even further. The flashback isn’t all that interesting either, taking up three pages when it could easily have fit on one. It’s hard to care about the character who tells the story, partly because we barely know them and partly because of what they did, and it also doesn’t help that the flashback is basically a slight variation on a flashback we’ve seen before. Ultimately this issue lacks stakes. The heroes are never really in danger, Huntress’ confrontation with the villain doesn’t bring much interest as her anger and past life was revealed to be misdirection, and the inclusion of some gangsters does little to make the story interesting. Overall the story doesn’t gel quite well enough to make it sing. The story wraps things up, but not well enough to make it an enjoyable experience. Overall it’s a bit dull as you never feel as though the characters are in danger and they don’t jive with each other like they have in the past.